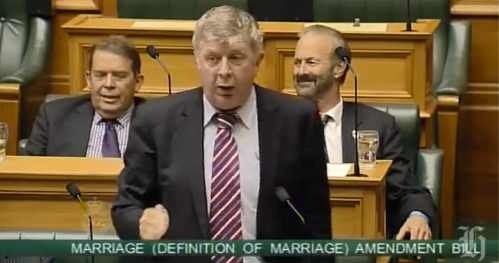 A New Zealand MP has his fellow parliamentarians roaring in their seats with a speech in support of the country’s recently passed Marriage Amendment bill. Pakuranga MP Maurice Williamson stood up and gave what may be the funniest and most heartfelt speech on marriage equality. Kudos to Maurice. New Zealand recently became the first Asia-Pacific nation to extend all the legal rights of state-recognized matrimony to two people who love each other and also happen to share the same gender. Check out the hilarious speech after the jump.